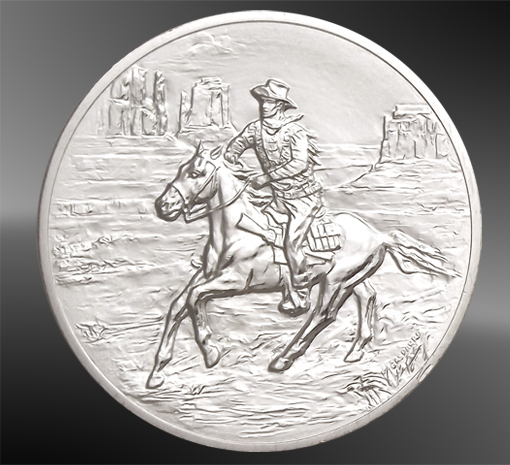 This 33mm US Mint medal commemorates John Wayne in a stunning 24K precision gold and pure silver accenting. 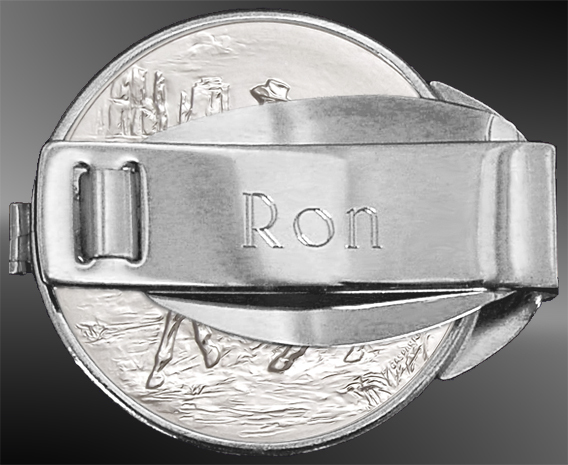 The hand polished Stainless Steel money clip features a patented spring action that holds even a single bill snugly. LensCote protection preserves the mint proof finish for generations to come. 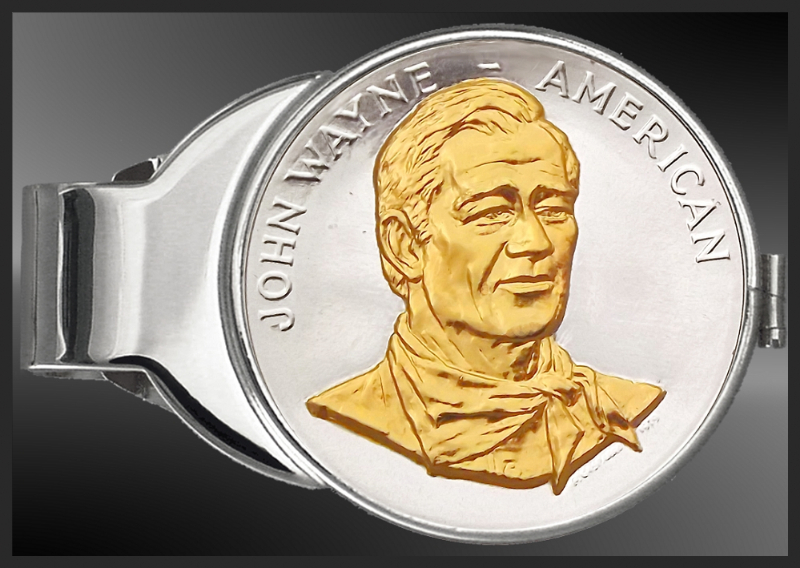 This 33mm US Mint medal commemorates American icon John Wayne, actor, director and producer, in a stunning 24K precision gold and pure silver accenting. The hand polished Stainless Steel money clip features a patented spring action that holds even a single bill snugly. LensCote protection preserves the mint proof finish for generations to come. We love it! So classy and so useful! Thank you.